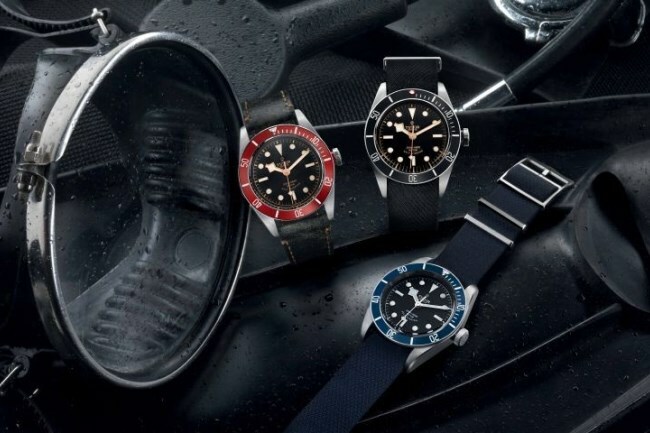 Tudor unveils a new version of its emblematic Heritage Black Bay divers’ watch. Presented for the first time in 2012 and one of the winners at the Grand Prix d’Horlogerie de Genève the following year, this model now comes in three versions – burgundy red, blue and black – celebrating over 60 years of divers’ watches with extraordinary destinies. The Heritage line by Tudor is distinguished by the unique creative process of the brand’s Style Workshop as well as an exceptional attention to detail. Since 2010 and the presentation of the Tudor Heritage Chrono, Tudor has reinterpreted some of the key models in its history. 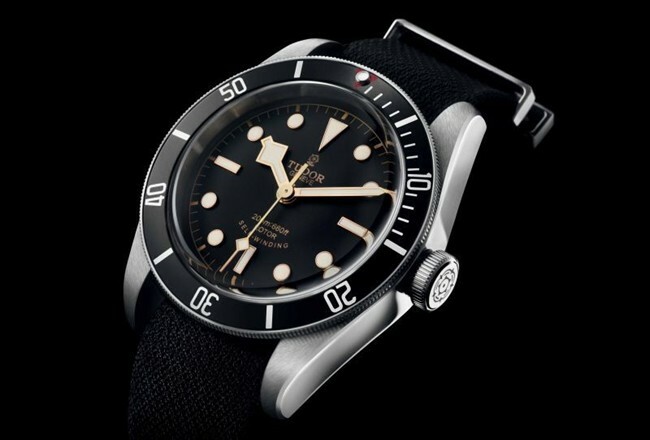 Like the models in the Tudor Heritage line, the new Black Bay “Black” adopts this approach while at the same time forging its own identity, cleverly combining historic aesthetic elements that have not yet been reinterpreted. 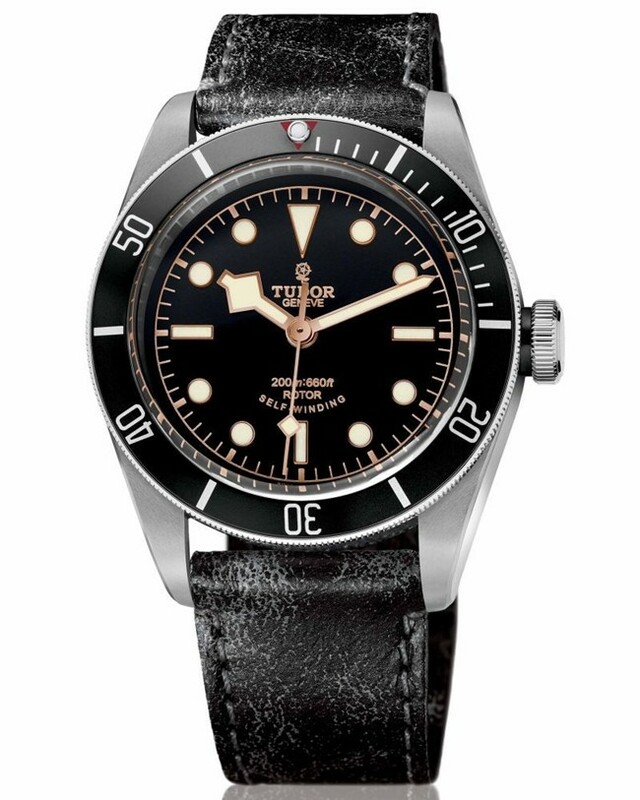 With its black dial, pink-gold hands and hour markers, cream-colored luminescent material and burgundy red bezel, the original Tudor Heritage Black Bay introduced in 2012 suggests the gentle warm patina of an antique watch. 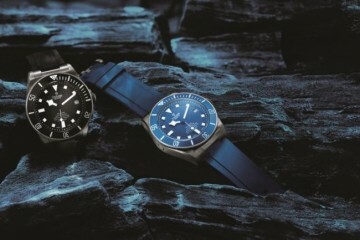 Radically different, the second model from the Black Bay family, dubbed the ‘Midnight Blue’ by the brand’s enthusiasts, presents an icy face and sharp contrasts, giving the watch the appearance of a professional, technical instrument. 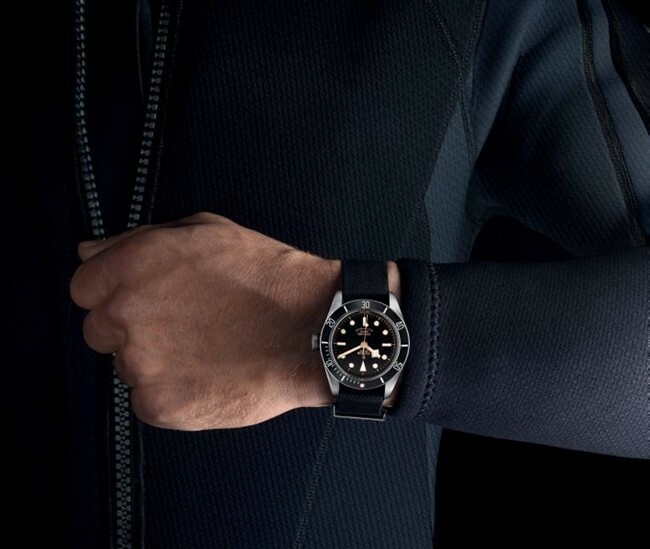 The new Black Bay “Black” is certainly the watch that comes closest to the pioneering spirit of Tudor’s first divers’ watches. Combining historic patina with technology, it perfectly complements the Black Bay family. In a notable, unique visible detail, it adopts the famous red triangle of the unidirectional bezel from the Tudor divers’ models of the late 1950s. Mounted either on a brushed steel bracelet with folding clasp or on aged leather strap, also with a folding clasp, the Black Bay “Black” is accompanied by a second strap in black fabric. 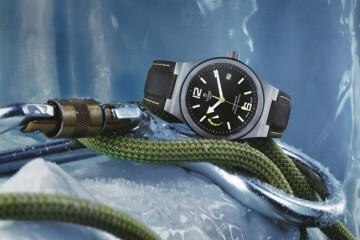 The strap, woven using time-honoured techniques by a traditional company, lends added value to Tudor creations.